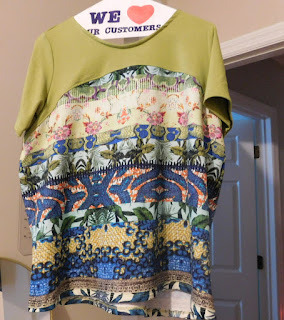 I did not want to make a solid color fabric for this top and after visiting Simply by Ti several times, I decided to use this print fabric with a distinct design and to make the flounces in a solid color for contrast. The print fabric is a lush feeling rayon knit that is a nice weight, not too light as some other rayon knits I have used. 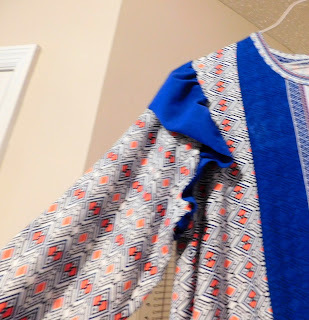 The cobalt blue fabric is cotton lycra, a little heavier than the print fabric but perfect for the flounces. In recent blogs, I have commented on the need to take new measurements and I still need to do this. As a result, I chose two sizes since this was a pdf pattern and with layering feature, I only printed out the two sizes. 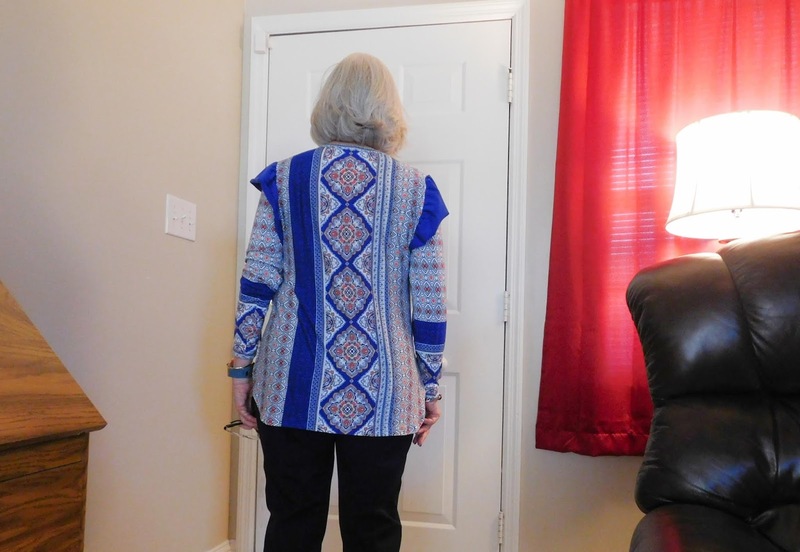 I made my usual adjustments to the pattern, forward shoulder, slight FBA which I did not need in the end, swayback and narrow back adjustment, plus reduced the length by 1 inch and took 1/2 inch horizontal tuck in the upper chest and back. 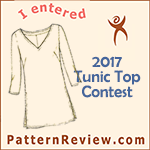 I can tell by the look of the tops on the models that this pattern is loose fitting and my chosen sizes made this too loose on me. 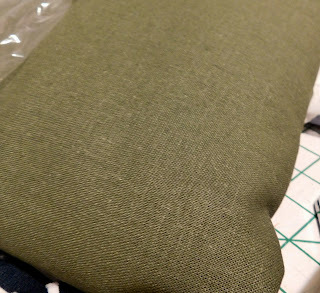 So instead of using 1/4 inch seam allowances, I ended up using 5/8 seam allowances. The bust was extremely too big and ended up taking it in by an inch tapering to 5/8 at the waist. I think some of the bust fullness was due to the FBA I made and also using the fabric vertically caused too much stretch. I am hoping that the stretch does not cause this to grow more! I also used a 5/8 inch hem allowance since the side seams were at that width. The flounces are gathered and attached prior to inserting the sleeves, great idea. I normally run two basting stitches and then gather. With these flounces, I decided to use my gathering foot and this went well. I tried several samples of stitch length and tension. The longer stitch and tighter tension worked great. The flounces edges are to be left raw and is something however I normally do not do. I did with these and I actually like it. mentioned in a post or on one of Facebook's sewing related groups about a technique she should use that was included Lynda Maynard's book Dressmaker's Book on Couture Techniques. (I am an Amazon affiliate and should you use the link to acquire this book for your sewing library I could receive a commission.) I immediately purchased this book and used her technique for the neckband for this top. There are some other neckband finishes for woven fabrics and many other design techniques in this book. It is fast becoming one of my go-to sewing books. Another alteration not mentioned above is that the sleeves are too long for me, not unusual for Jalie as well as other patterns. I am vertically challenged. Prior to cutting out the sleeves I had reduced the length by 1 inch and ended up taking 3/4 inch hem allowance. They are still a little long but I like that I can push them up some and they stay. The sleeve bicep width was a little wide and I took 3/4 inch seam from underarm tapering to 1/2 inch from elbow to sleeve bottom. I like the high low hemline and that back length covers my bottom well. I like this top very much. I like the length with my adjustments, the not to tight nor too loose look as well as the various sleeve options. I will be making the tie sleeve version for spring/summer. 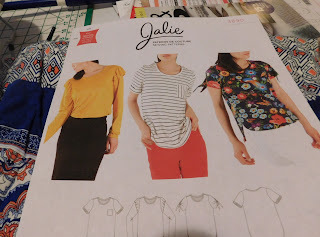 The instructions for the pattern were very good and the accompanying illustrations were also helpful, particularly if you are a visual learner as I am. Sizing issues were my own and with changing body shape, I need to remeasure certain areas to achieve a better fit prior to cutting out this pattern or any other. I knew to make this or any other Jalie pattern requires adjustments as they are drafted for a taller person than I am. 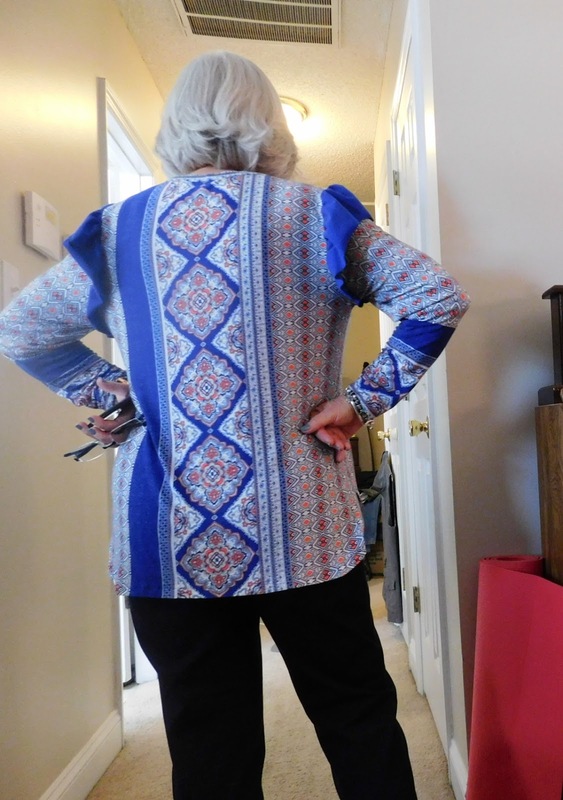 There are no "petitable" lines for adjustment so making any may require more sewing experience than a new sewist. I have made many without those lines and know where they are needed. The rayon knit fabric washed up well and was not so fiddly as a thinner rayon knit. I am glad that I tried this on the vertical. Don't forget to check out the giveaways from our sponsors and also make note that if you participate in the sew-along you have a chance to win some prizes. See below. 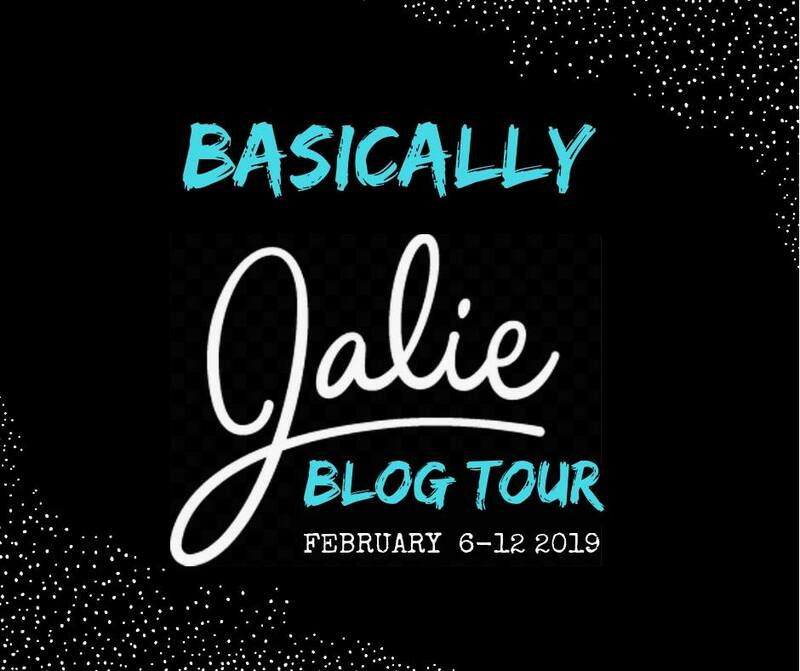 Also please check out our other Basically Jalie Blog Tour bloggers ( all information noted below). 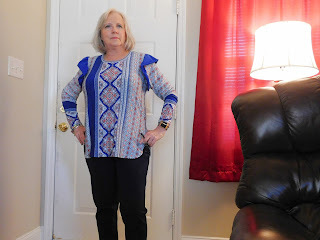 This print looks so great on you! I love the way you used it! I'll have to check if I have that book in my collection. I know I've borrowed it from the library a couple of times but it is one everyone should have in their personal library. Thanks! I really like the book. 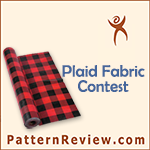 There is a whole chapter on neck bands for woven and knit fabrics. Oh I love that fabric, great choice! Great way to use it vertically, love the look on you. I love how you've centered that fabric pattern, its gorgeous! 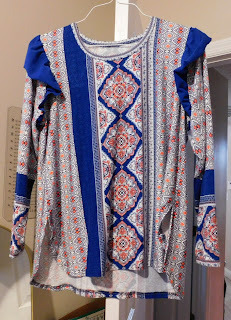 This is such a great top! I really like the Mimosa pattern--it is on my wishlist for sure! I agree that it works perfectly to transition from Winter to Spring! 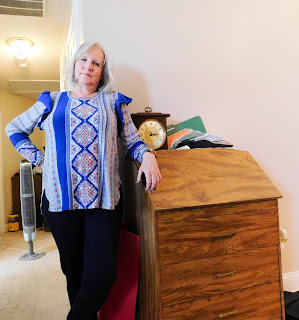 I love that print, and it worked well for that top, it looks great on you! 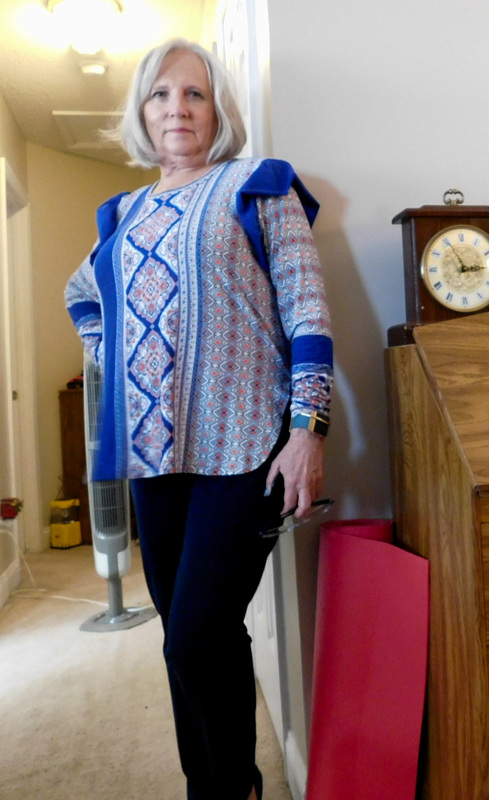 I'm vertically challenged a.k.a fun sized too :) Look on the bright side - we use up less fabric! Beautiful color on you!! Thanks Shalini! And you are correct we do use up less fabric! Thank you! I enjoyed being a part of the tour! I liked the words, "loose fitting". ; ) The use of the vertical design is very striking. Hey, we picked the same pattern! Love your version. The stripe placement is really great. 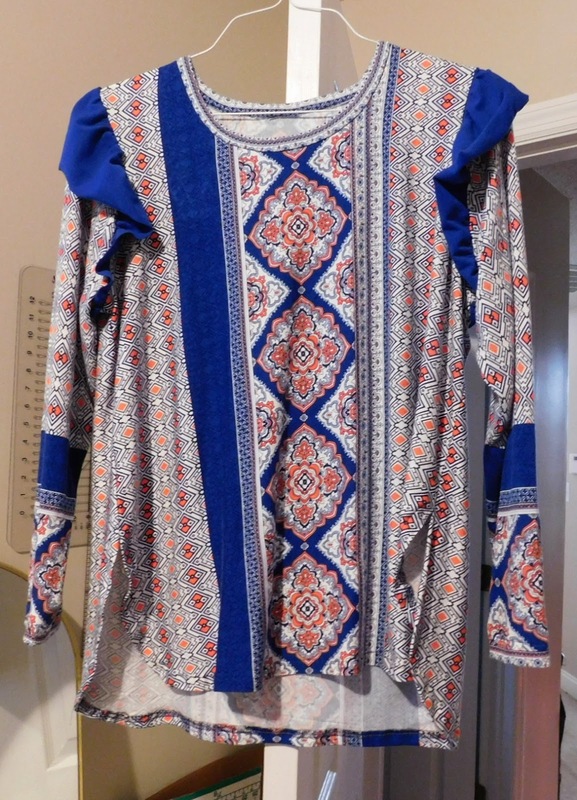 Oh this looks lovely on you! Excellent use of fabric and fit! Beautiful, I love your fabric, and the view you chose! This is an extraordinarily great piece of work! Love the colours!